Apple has asked the Indian government for a number of exemptions following the start of production of iPhones within the country, and officials signaled on Thursday that they are weighing the requests. Apple wants the ability to build its own retail stores in India, but current laws require the company to source at least 30 percent of its products in India. Apple began assembling iPhone SE units in the country in May to appease the government, though initial production has been small. On Thursday, Ramesh Abhishek, of India's Department of Industrial Policy and Promotion, said his country is considering the exemptions sought by Apple, according to Reuters. Retail locations are of particular interest to the company, which currently relies on a network of resellers in India. Beyond stores, Apple also seeks "a range of tax and policy changes" that would help the company continue to expand local assembly of iPhones. In August, the company indicated that it needs the government to extend tax breaks to suppliers if the country wants them to begin production within its borders. The company also reduced pricing on its products in July in response to sales tax reforms enacted by the local government. Following a retail expansion and sales explosion in China, India has become an area of particular interest for Apple and its chief executive, Tim Cook. 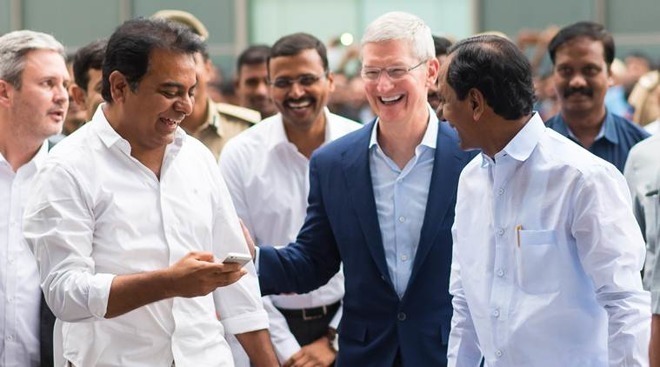 To bolster those efforts, Apple opened an App Accelerator in India in March, designed to help locals learn to code for iOS, macOS, watchOS and tvOS. The accelerator hosts labs and presentations on elements like interface design, working with frameworks, and coding in Swift.